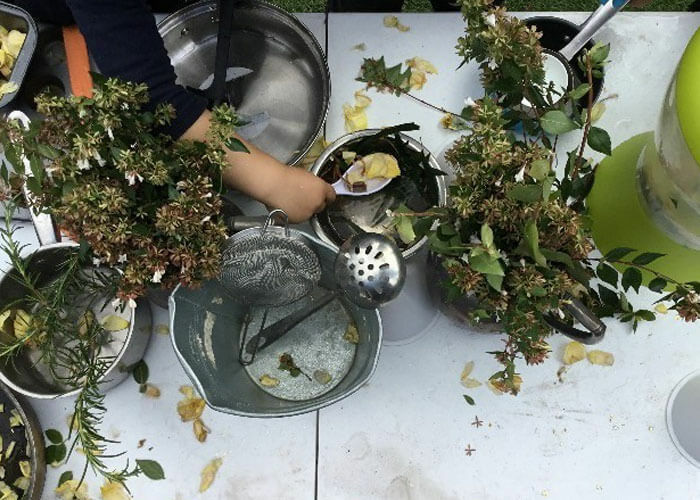 This cosy childcare centre in Melbourne boasts a wonderful outdoor space complete with a garden that’s bursting with leafy greens, herbs and vegetables. 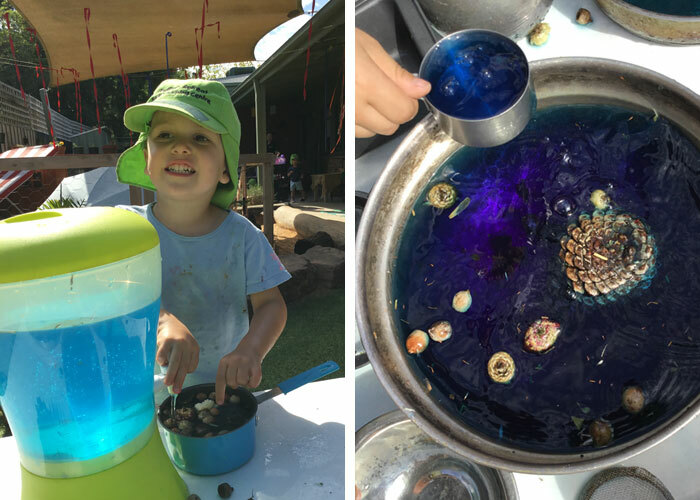 Over recent months the children at Guardian Early Learning – Blackburn have been engaging with the world around them through a number of nature-based projects. The curiously named “Nature Soup Table” uses a variety of natural materials found within the children’s local environment. Gumnuts, pinecones, flower petals, leaves, lemon slices, rosemary and mint all find their way into this “soup” (don’t worry, the children don’t eat this soup!). Science: why do some objects float and some objects sink in the water? Creativity and imagination: making decisions on the colours and combinations of the objects in their bowl and then engaging in meaningful play eg. are they cooking, creating a magic potion? “We truly believe that children’s curiosity is ignited by their environments,” says Megan. By utilising natural materials and bringing them to life within the centre, children are learning about so many concepts, and are able to recall them when they see these materials in the world outside the centre. “Here at Guardian Blackburn our veggie garden is thriving!” beams Megan. Zucchinis, strawberries, carrots, rosemary, sage and capsicums are in full bloom. “The children enjoy watering the garden each day and then being involved in the harvesting process,” she adds. Having the children be a part of the gardening process gives them the opportunity to be closer to nature as well as learn where their food comes from. They also become more adventurous when it comes to trying new foods and textures when they have seen it grow, picked it by hand and used in centre meals. Families love picking up surplus vegetables and herbs from the foyer and using them in their own home cooking. 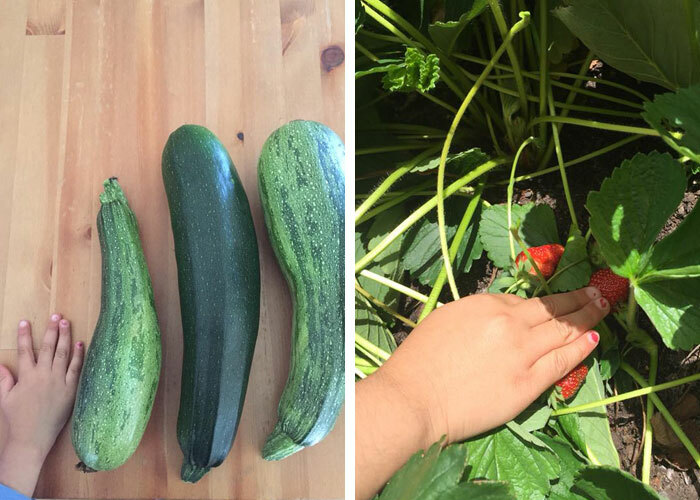 We love seeing the community connections made through the growing of these vegetables and how they bring some of the experiences children have at the centre home with them. This childcare centre in Melbourne provides high quality early learning in a caring and cosy environment. To explore the centre and its fantastic yard, we invite you to book a tour here.